I thought I wrote about it, but I guess not. 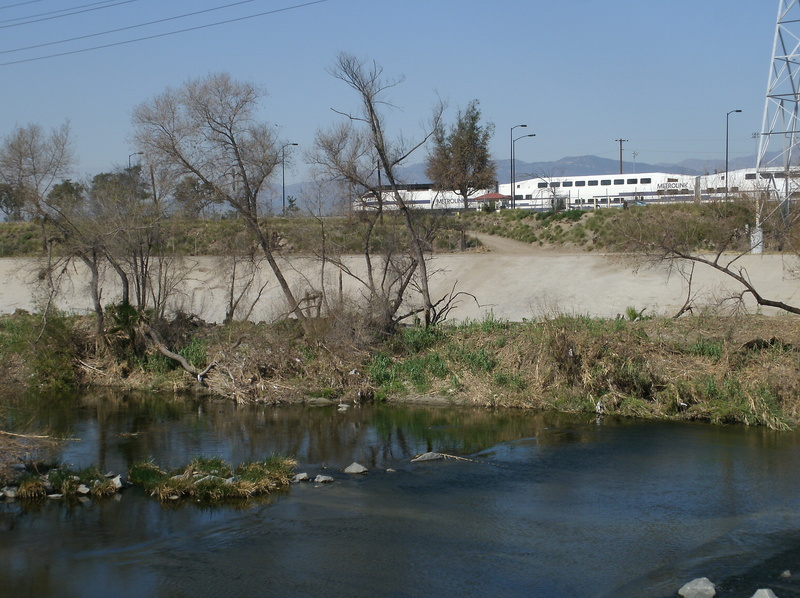 After all, I haven’t exactly been faithful to writing on this blog. It was a Saturday afternoon game against the Rockies. My boy John Ely was starting that day. 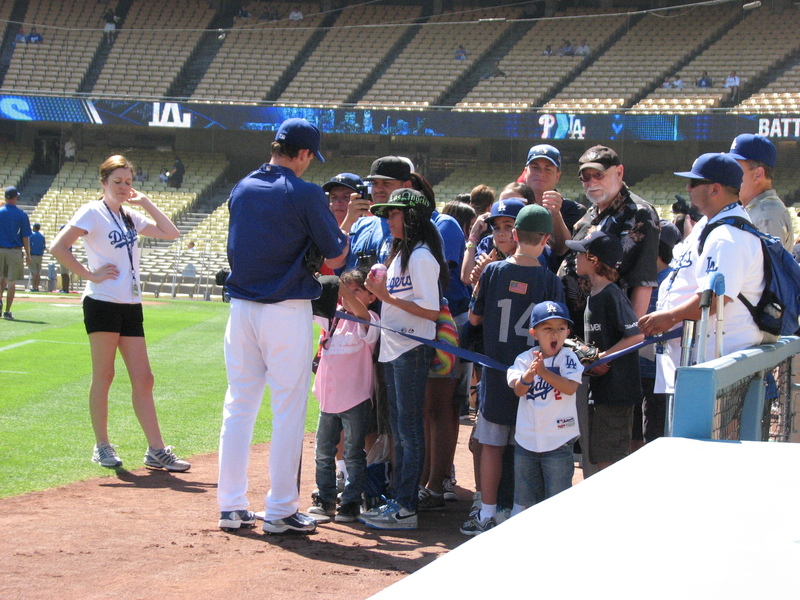 I love day games because players will stop and sign autographs and stuff. 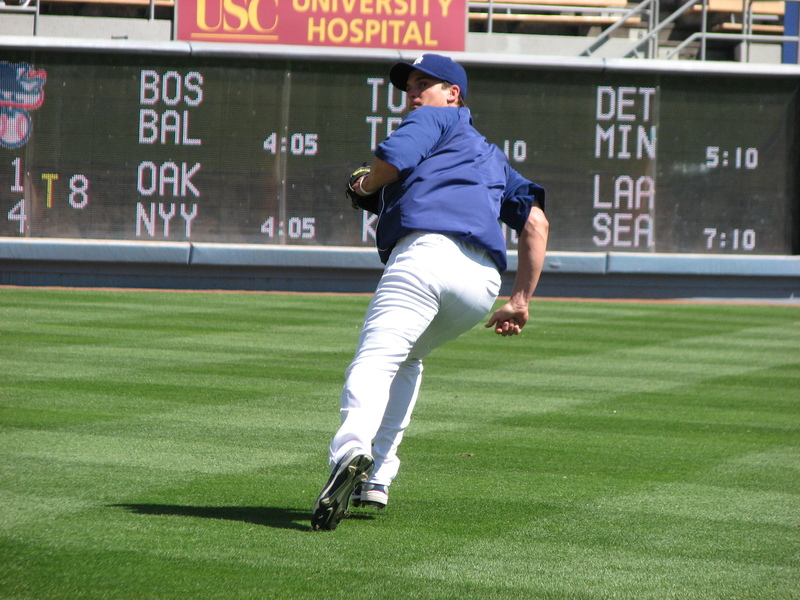 Usually it’s the pitchers who come out to stretch, run, and play catch. They sign before or after, depending on the player and their schedule I suppose. 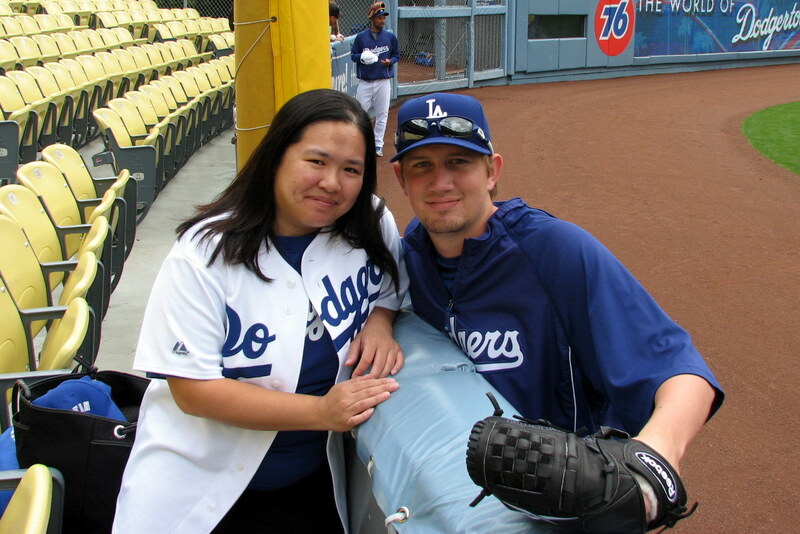 I wasn’t expecting to see Travis Schlichting (my other boy) at the stadium that day since he’s been on the Disabled List for a few weeks. He came out after most of the players were already done. 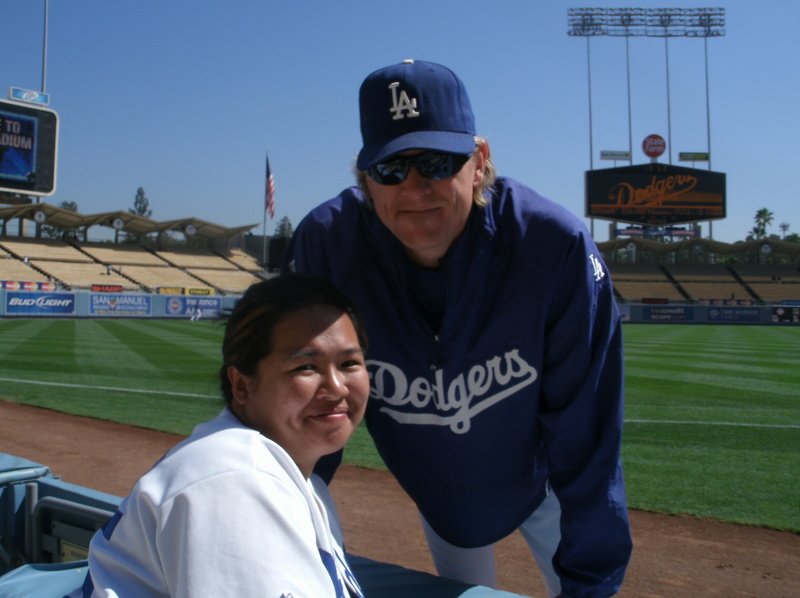 By then, I had already gotten Clayton Kershaw and Jon Link to sign my scrapbook and Hong-Chi Kuo to sign a photo. Travis came out to run some sprints and on his way back to the dugout I said, “Hey Travis” just wanting to say hi since I said hi to him whenever I could. He surprised me by coming over to the wall. It was Saturday afternoon game, and I got inside the Stadium as soon as the gates were open. Travis Schlichting and Cory Wade were throwing to each other. After they were done, I called out to Travis. He looked at me and waved. Then I asked him for a photo with him. I didn’t have anything with me, or I would’ve asked him for his autograph too. I don’t know if you can see the difference between Travis now and then, but he lost a lot of weight since then. They talked a lot about how he had Gilbert’s Sydrome and lost a drastic amount of weight. Back to the afternoon of Sept 18th. Travis came over and stopped. Well, I was at a loss of what to do or say since I didn’t expect him to come over. I just wanted to say hey. So, thinking quickly on my feet, I told him it was good to see him back with the team. He told me it was good to be back and he was just trying to get healthy again. He said he missed the flight in SF. I was confused and asked him about being in SF. 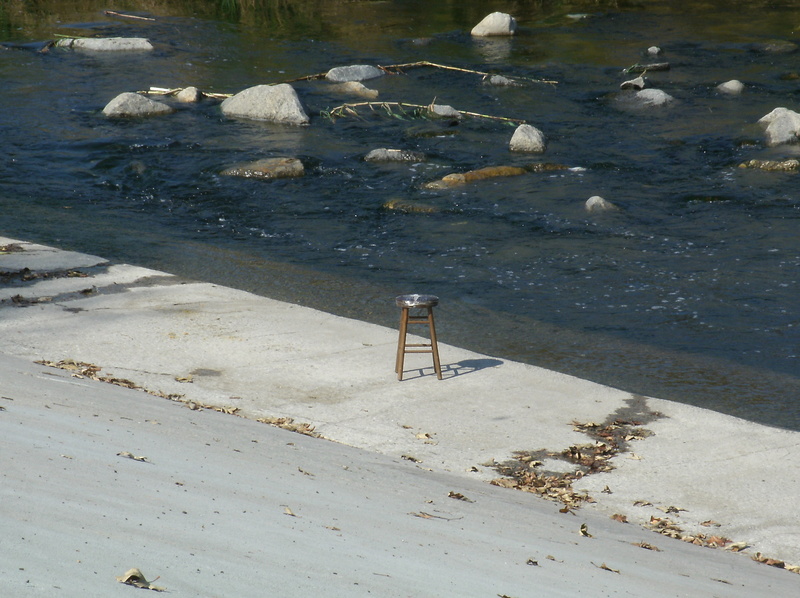 He said something about he’s sure he’ll have to make it up somehow. Again, he totally lost me but I tried to follow along. While we chatting, I asked him if he wouldn’t mind signing my scrapbook. I had a spot for him from the game where he got his first major league victory (it was the extra innings game against the D-backs back in June). I said it was kind of a small spot. He said it would fit, or he could make it fit. If I don’t get this 100% right, who will know? It happened over six months ago! 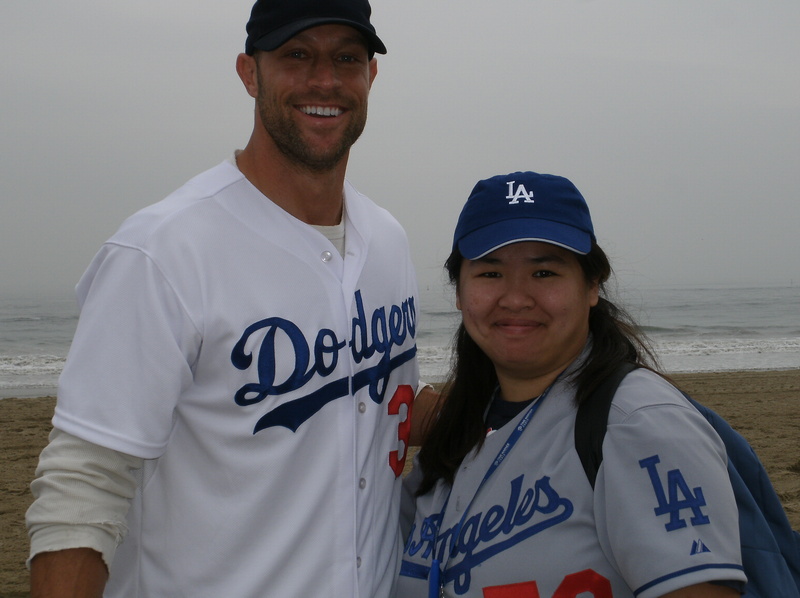 I thanked him of course and said something about looking forward to seeing him with the team. 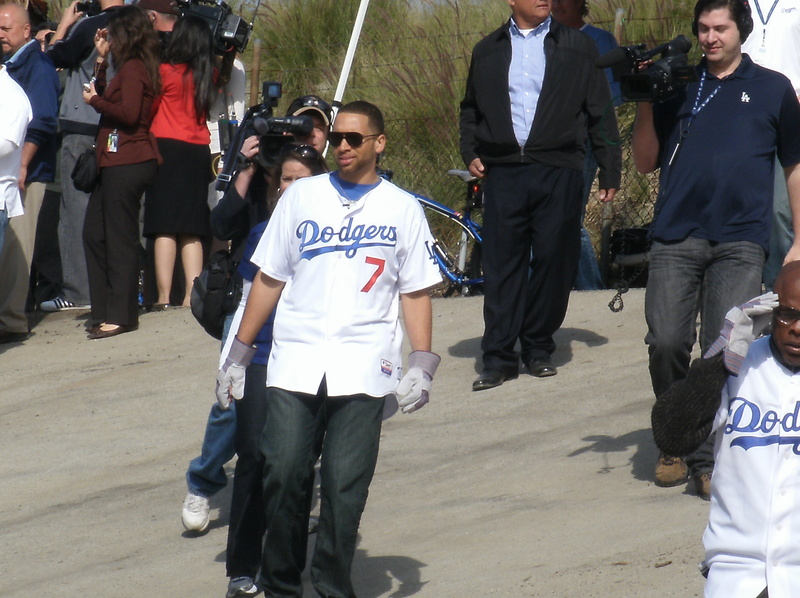 As he’s getting ready to walk away, someone else asked him to sign her Dodger magazine. She didn’t have a sharpie so he asked me if he could use mine. I told him anything for him. Hence the little smile you see in the video. Random tidbit: Travis and I were born two days apart, which is kind of why I have a soft spot towards him. 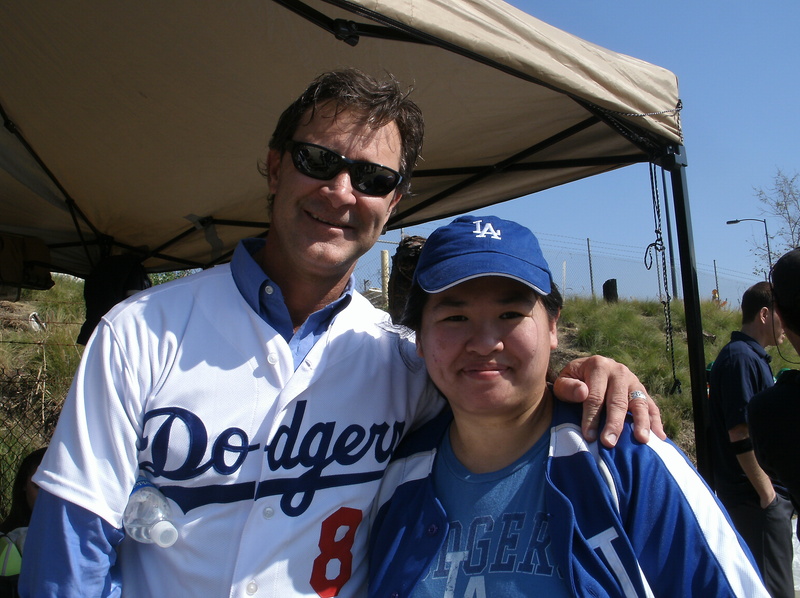 And I have just more things signed by Travis than I do Matt Kemp! 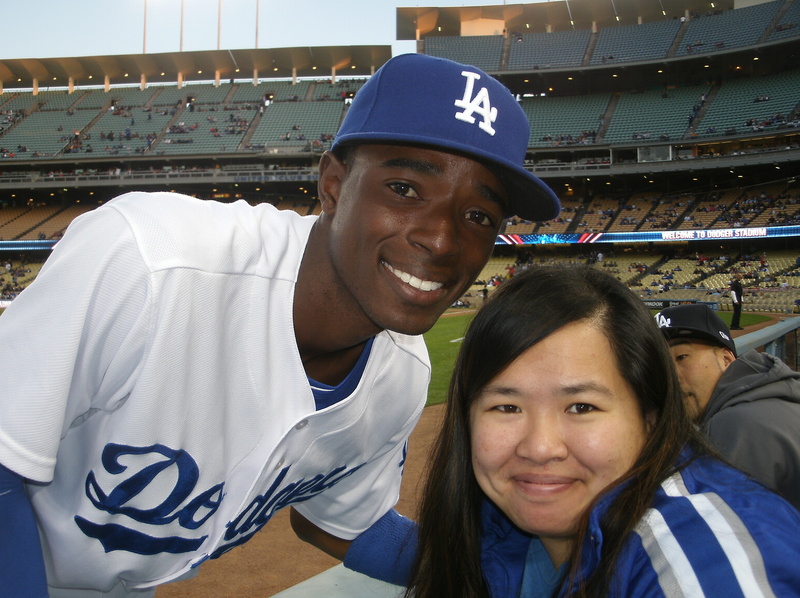 I’m looking forward to seeing Travis at Dodger Stadium at some point this season I hope. In case you were wondering, the Rockies pounded the Dodgers 12-2 (even though the Dodgers had 12 hits that day). 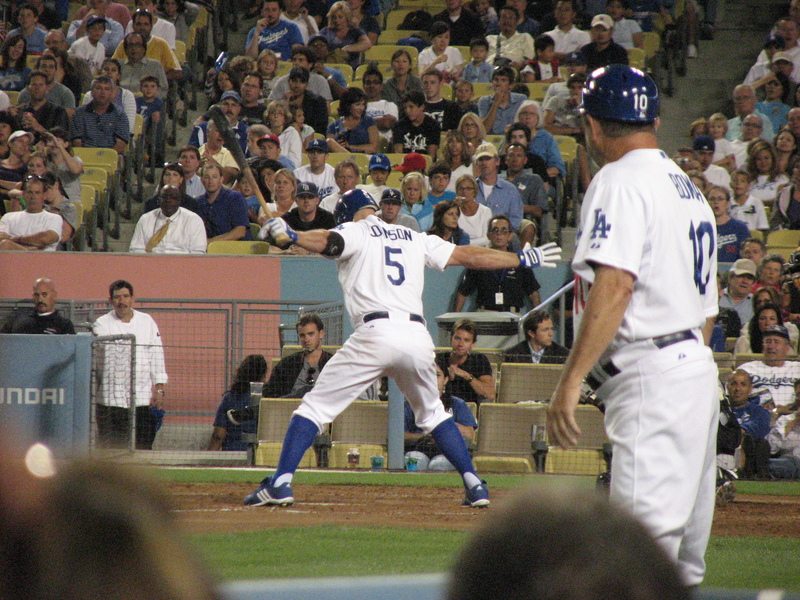 Whereas, when I first met Travis the Dodgers won in extra innings thanks to Andre Ethier’s walk-off homerun against the Phillies. 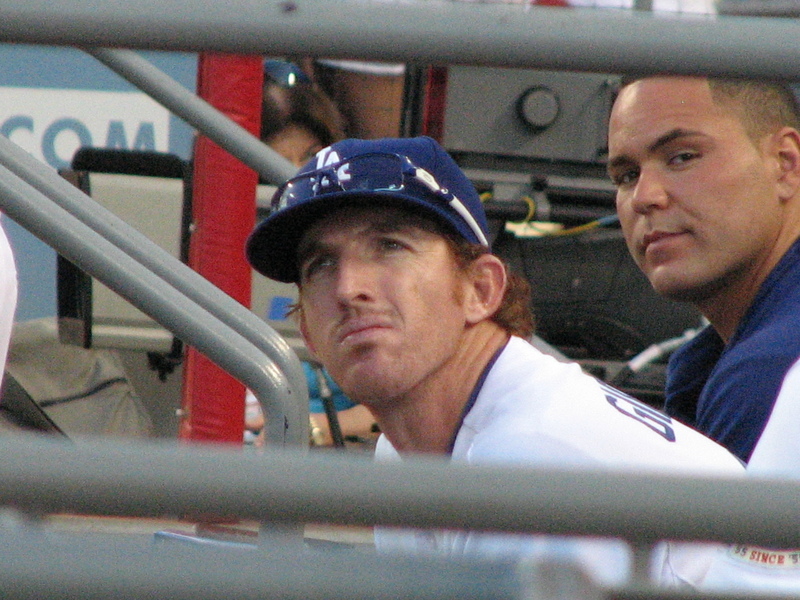 And, of the four times I asked Travis for a photo or autograph, this was the only time the game didn’t result in a walk off victory for the Dodgers. It was just a quick glimpse, one of those if you blink you’ll miss it. But I was 99% sure the girl in the blue shirt handing Travis a sharpie was me! And, of course, that commercial isn’t on their website yet. Well, today, I saw it again. And again, I’m 99% sure it’s me. Even though all you see is like my back. My friend Edward used his DVR to go back and look at it again. It’s wedged in between “It’s time for kids to take the field” and “It’s time for the show”. Even he admitted if I didn’t point it out he wouldn’t have noticed. Like I said, it was only my back. After trying to get to bed early tonight, I gave up and got back online and renewed my search for that commercial. 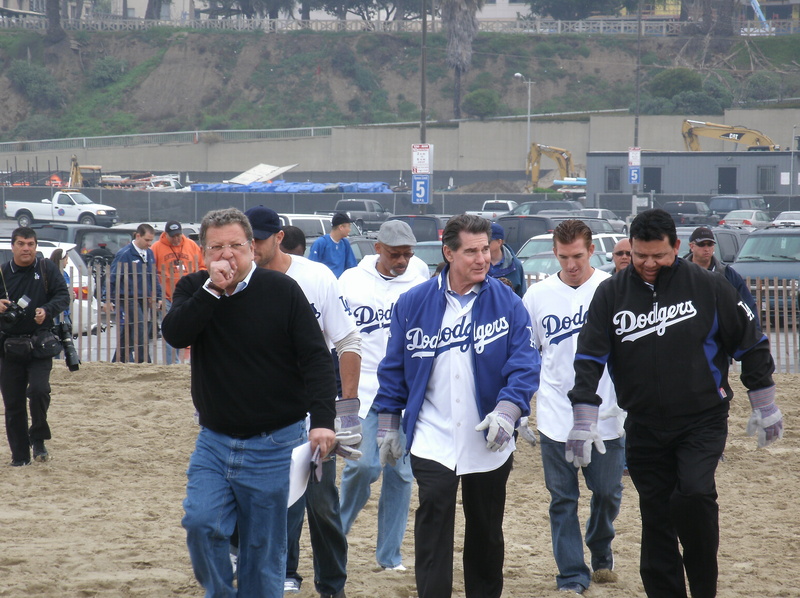 I found some older ones and some on the Dodgers Media Network, but they didn’t have the one I was looking for. Where did I go to next? Well, they didn’t have it either. However, another commercial in the sidebar caught my eye. Why? Because their thumbnail was the scene I was looking for! It was different commercial, but they used the same snippet. Although I think this was one second longer. Right at the 1:02 mark is the one I am talking about and now I went from 99% to 100% certain. I can even tell you the date and the details. I guess they have it in HD too… if it makes a difference. Okay, so it was an exhibition game. But it was still my first baseball game of the 2011 year, though not the 2011 season. I suppose I could list it as game A and the other game, Game B and then start the count on Opening Day. I was very much ready for Monday’s exhibition game against the Angels. As many of you probably have heard by now, the security staff at the gates are now wanding fans before they enter the stadium. We were late being allowed into the park so by the time we got in, the Angels had taken the field and the Dodgers were long gone. We didn’t see them again till they started coming over to stretch. We called several players over. I only managed to snag two photos. 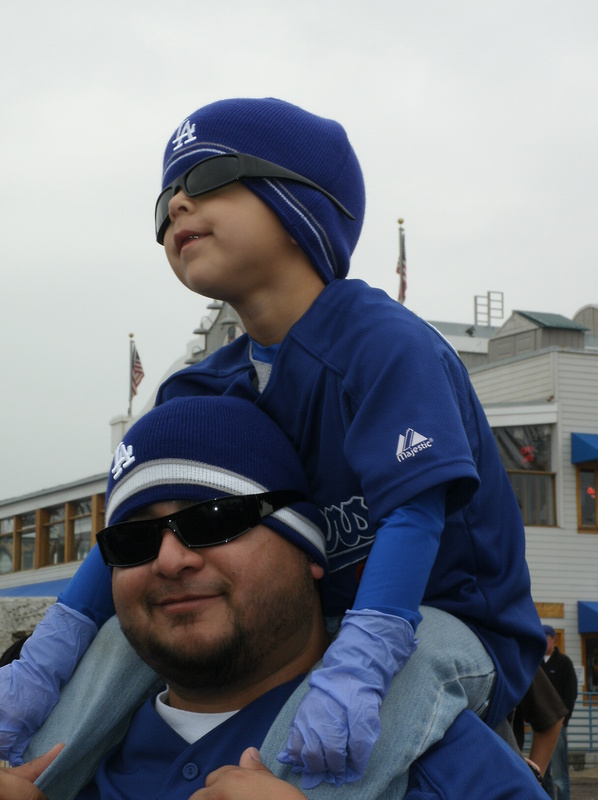 Here’s one with Ivan DeJesus, Jr. However, I did manage to get a few autographs. I got Tony Gwynn, Jr. to sign a photo of the two of us taken at the beach cleanup. And I got Trent Oeltjen to sign a photo I took last year. I asked him to make it out to Linda and fortunately this time he either heard me correctly or remembered how to spell it, since last time he thought I said Belinda. It was an interesting game, the lead going back and forth. 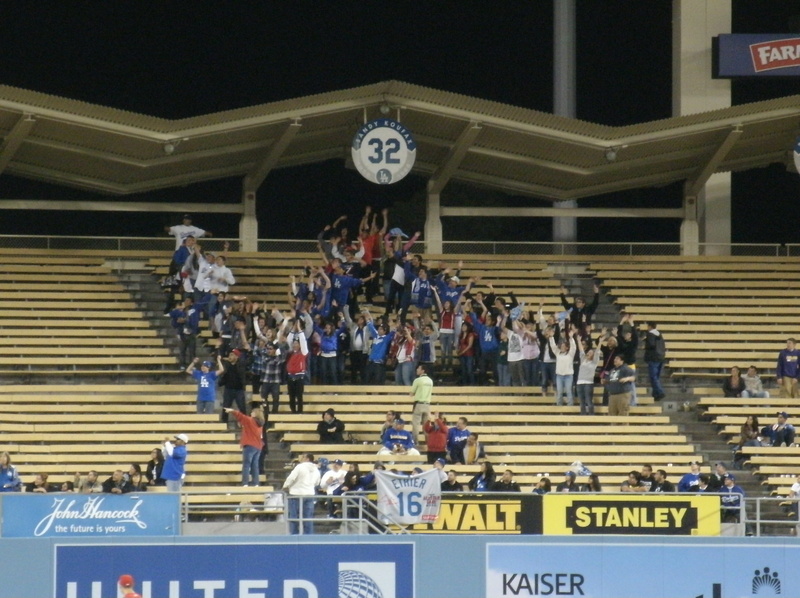 A group of people organized themselves in the right field pavilion to form the LA Logo. The Dodgers took the 9th inning in the lead. However, a missed opportunity at a double play that resulted in an error and the Angels taking the lead meant a blown save for Jonathan Broxton. 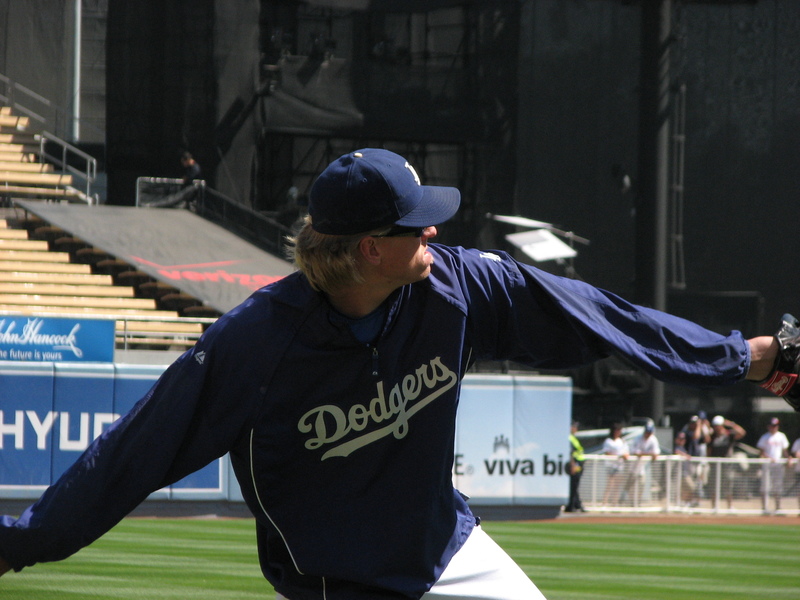 Written by fallingleaves02 1 Comment Posted in Dailies	Tagged with Dee Gordon, Dodgers, Ivan DeJesus Jr.
We got into the stadium, and the first players we saw were Carlos Monasterios, Chad Billingsley, and Ramon Troncoso. I have to admit, I don’t think I’ve ever seen Chad sign before a day game. So, I was surprised when I asked him if he would sign that he came over. Not only did he sign my scrapbook, but he found a spot on my team ball to sign. He asked me if I wanted him to sign on the picture, and I said yeah. It’s funny how the players have been asking, “do you want me to sign on the picture or here?” Here, being a blank space on the page. Ted Lilly signed down by the foul pole, but I didn’t want to run over there. So, I stayed behind while my friends went. It took awhile before other players came out. Several pitchers would walk by, but say they had to go to the bullpen. Jeff Weaver came out to play catch with Belisario. He was right in front of us. I asked him to sign but he said something and went to play catch. I have been trying for over a year to get Weaver to sign my scrapbook from 2009. It’s the article when he and his brother faced each other last year. Today, I brought my 2010 book that’s a Work in Progress. I figured I’d try to get a few of the players while they were still with the team. I’ve gotten a lot of players in my 2009 book already. Fortunately, there’s a great picture from the LA Times from when Jeff Weaver pitched to Jered Weaver when the Angels played at Dodger Stadium. I was surprised that when I asked Jeff to sign, he actually came over to sign! And I also finally got a picture with him! I don’t remember who I got next, but I’ll go with Kuo. 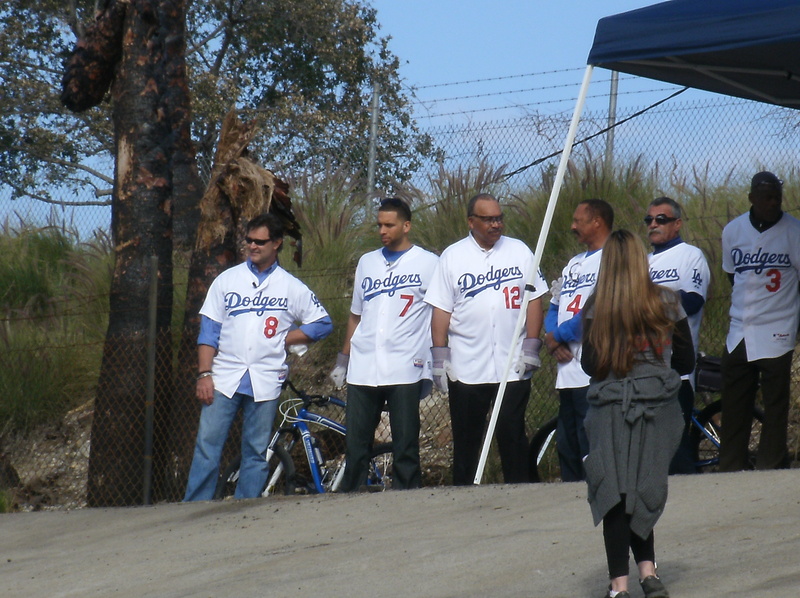 He was playing catch with Kenley Jansen, who I also asked to come sign but he said he had to go. So, Kuo came and I had a magazine I needed him to sign for my friend’s boyfriend. 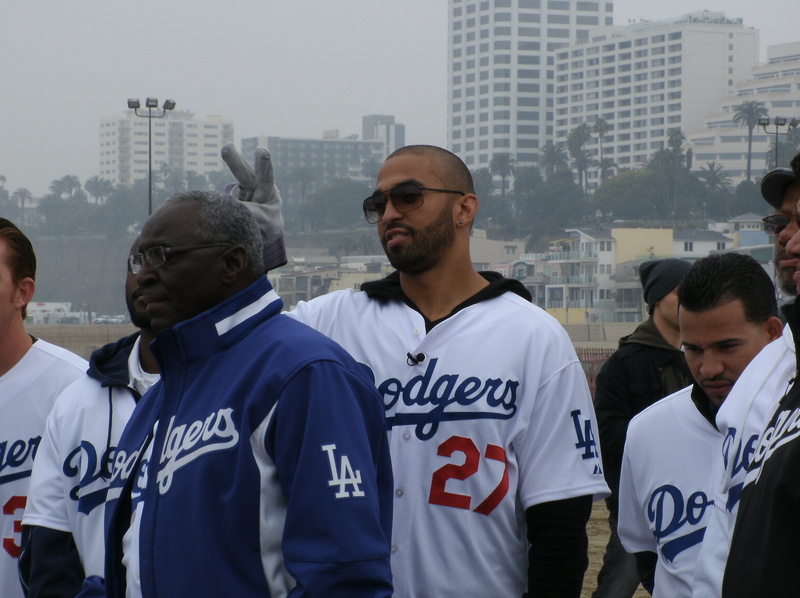 It’s the Dodger Magazine with the four All Stars. 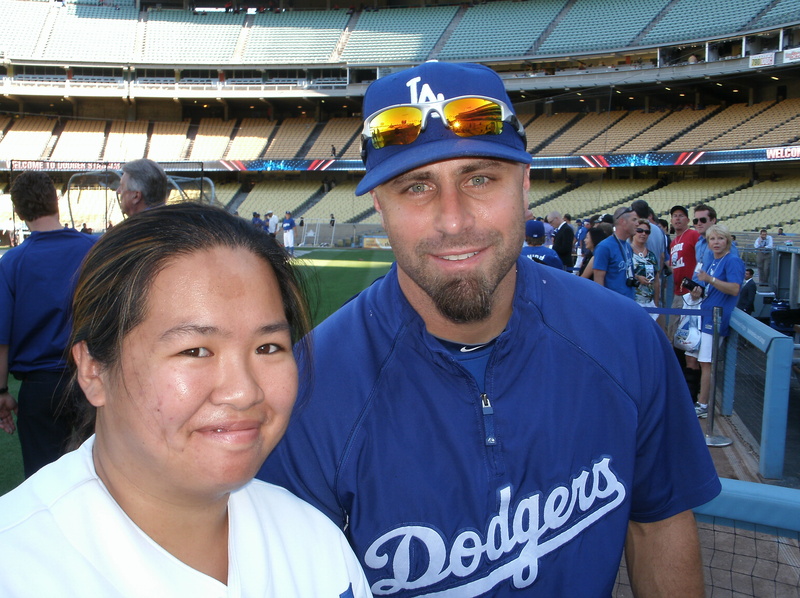 I got Ethier earlier in the week and Angelikna got Broxton at the signing. So, we just needed Kuo. There’s no way we’d ever get Furcal unless we catch him down in the Minors doing a Rehab assignment. So, as Kuo is signing our things, he had two baseballs in his glove. My friend asks Kuo for one of his balls and Kuo gave him a look and my friend said, “not that kind!” It was hilarious. I wish I had captured it on camera. Ryan Theriot came out with Stan Conte (the trainer). Guess he was testing to see how his knee felt after getting knocked over in Monday’s game. We’ve been trying to get Theriot to sign and he finally came over today. He almost didn’t sign for me. When I asked him for a quick picture, he said he didn’t have time. Sure. He didn’t have time. I don’t mind if they say no. I rather have them just straight out tell me they don’t want to or can’t. Casey Blake tells fans all the time he won’t take pictures. Andre was telling fans the same thing last year. If they say no, they say no. No big deal. Anyway, I’m letting go and moving on. The players started coming out to warm up. Jamey Carroll came over to sign once he finished getting ready. Since I had my book, I thought I might as well ask him. These ladies wanted a picture with him. Not sure if they remembered to ask him, because he started to walk away. Since they had their back to him, getting ready for the picture, I spoke up for them and asked if he had time for a quick picture. He put his hand on one and was trying to position himself between the two. The other lady didn’t see what he was doing and she was blocking Jamey. It worked out and they got their picture. He signed my book. He did the same thing Chad did, and asked me where did I want him to sign. I let him choose. There was plenty of white space for him to sign on the page if he wanted to, which is where he signed. When Andre came out to warm up, I went over with my friend’s bobblehead to get that signed. I haven’t asked Andre for an autograph for myself yet this year… at the game. It gets too crazy to go over there consistently. And I don’t want to go all the time. I think I’ve gone over there like twice this year, and both times were to get autographs for friends. 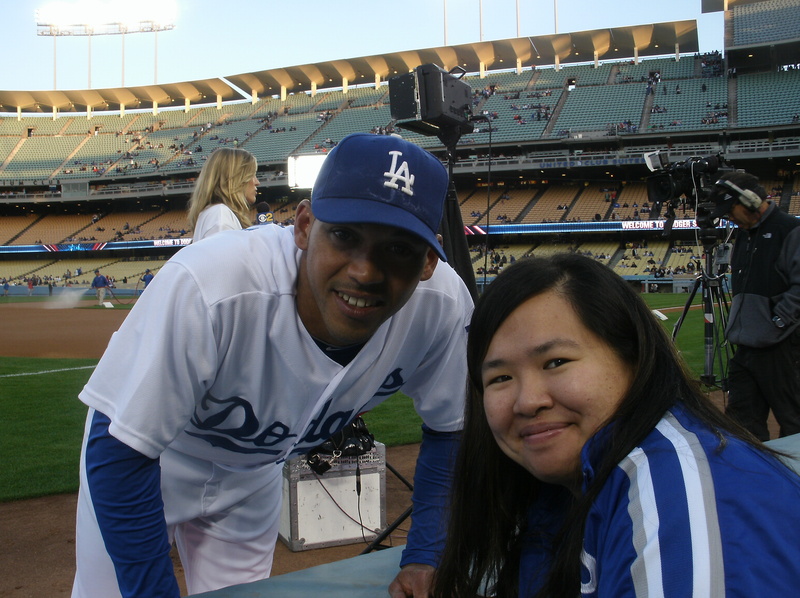 As soon as I got my friend’s bobblehead signed, I got out of dodger so other people could get their things signed. I even heard one person behind me say, “get out of the way so we can get something signed” or something like that. Fortunately, I was able to get out of there. Sometimes it’s not possible! 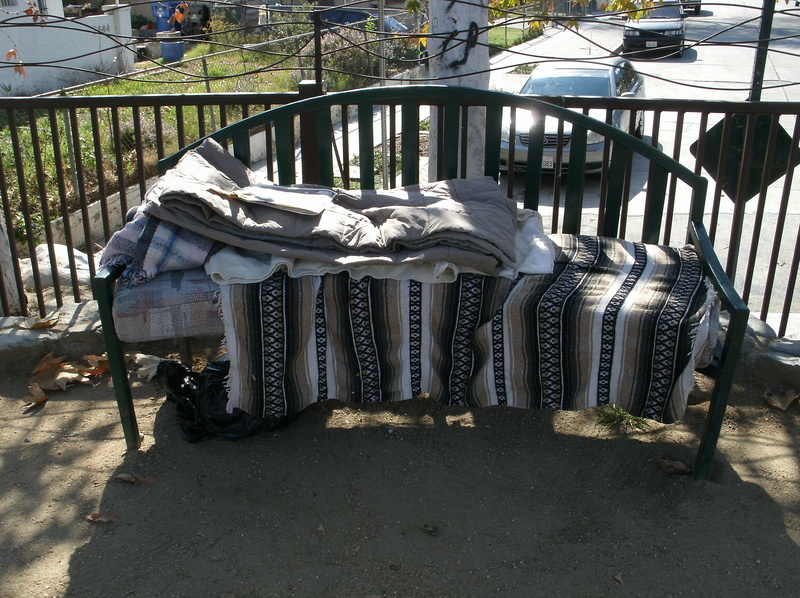 Frank Kramer from the Frosty, Heidi, and Frank show on KABC was supposed to be up at the Loge Terrace. By the time I finished down the in field level, I was hungry and didn’t feel like going up to the Loge Terrace. So I went to get food! I’ll try to get that post up tomorrow! This post turned out a lot longer than I expected. And the good luck is back! Well, see, I teased my friend that today I wasn’t going to say hi to him until after the game was over. We said hi before the game yesterday, and the Dodgers lost. Today, I saw him a few times before and during the game, but I didn’t make eye contact or say hi. And guess what? The Dodgers won!!! After all the players went in, I looked for Jay Gibbons. I had hurried to Wal Greens before heading to the stadium to print the picture of me and Jay from the day before. Sure enough, he was straggling behind. So, I held up the picture and asked Jay if he could please sign. He put his stuff down and came up. Hands shot out with pens and balls, but like Reed and the other players… he came to me first. Someone behind me asked him if he was starting today. He said no, he doesn’t start two days in a row. He’s too old for that. I told him he wasn’t too old. In fact, he started two days in a row last week. Okay, so maybe after that he realized he wasn’t ready to start back to back games. I couldn’t believe I got three signatures on the baseball for Pat. It takes me a whole homestand sometimes to get three signatures on my team ball. And Reed Johnson nonetheless! Like I said, I didn’t expect Reed to come over. I was very excited and glad that he did. Now to get Andre’s ball signed. 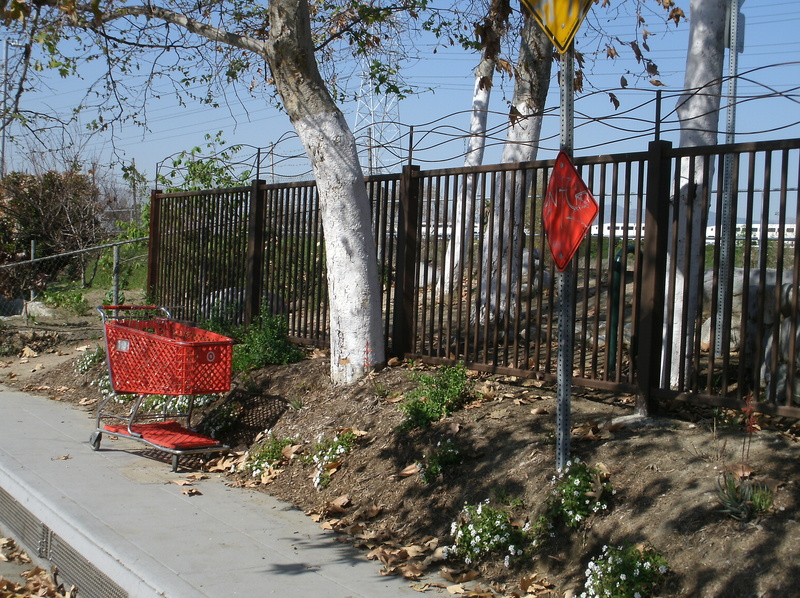 We went to the spot where Andre usually signs and waited for him. We chatted with some new friend Henry, Lauren, and… I’m drawing a blank. Hopefully, Lauren will visit my blog and correct my bad memory. Henry is a regular and I’m sure we crossed paths hundreds of times. 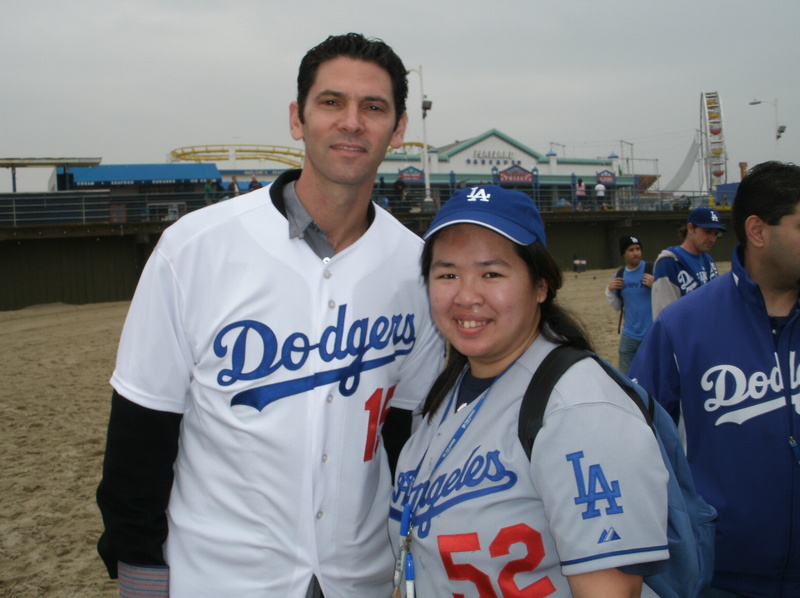 Lauren said the last time they were at a game was when Nomar Garciaparra was still on the team. We shared tips and stuff about getting autographs. I saw them after the game to retrieve my silver sharpie. He had gotten two autographs on his baseball cap. I was looking at the second one, trying to figure out whose it was. He told me. I was like, what? His autograph doesn’t look like that. Then I turned the cap upside down. 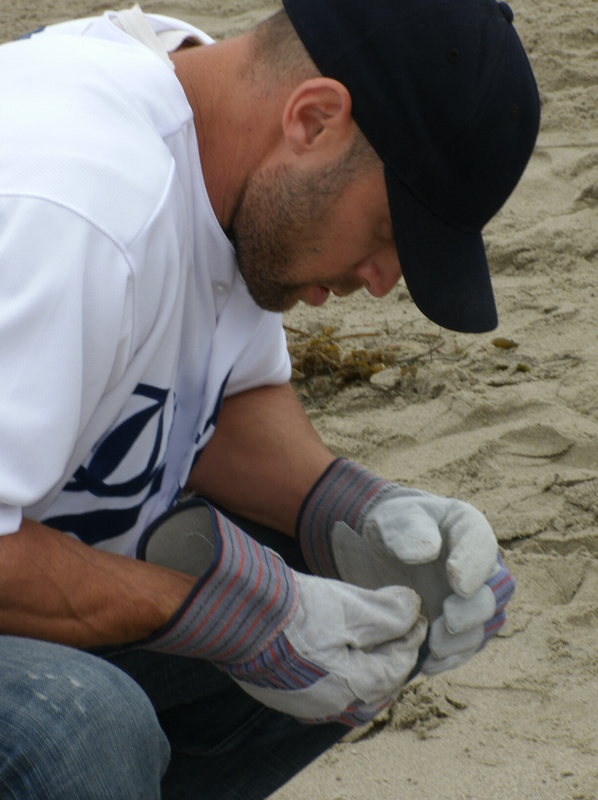 James Loney. Sure enough. His signature was upside down from the LA logo on the cap. You knew the game was going to be tight. Ted Lilly was pitching and so far he’s been lights out with the Dodgers. He is undefeated in his first three starts with the Dodgers. Josh Suchon on Dodger Talk likes to say Lilly didn’t get much run support from the Cubs, and he sure isn’t getting much with the Dodgers either. If you watched the game or saw the final, you would know that Josh sure was right. Lilly didn’t get much run support. Just two runs. And he made sure two runs was all he needed. And that he was not going to hand over the ball to the bullpen for them to mess it up. Guess who he two runs were courtesy of? Sure enough. Former Cubbie himself. Reed Johnson! The guy I got my photo taken with earlier in the game. One of the ushers was joking with me that Reed’s gonna tell the players that they need to get their picture taken with me before a game so they can hit a homerun too. 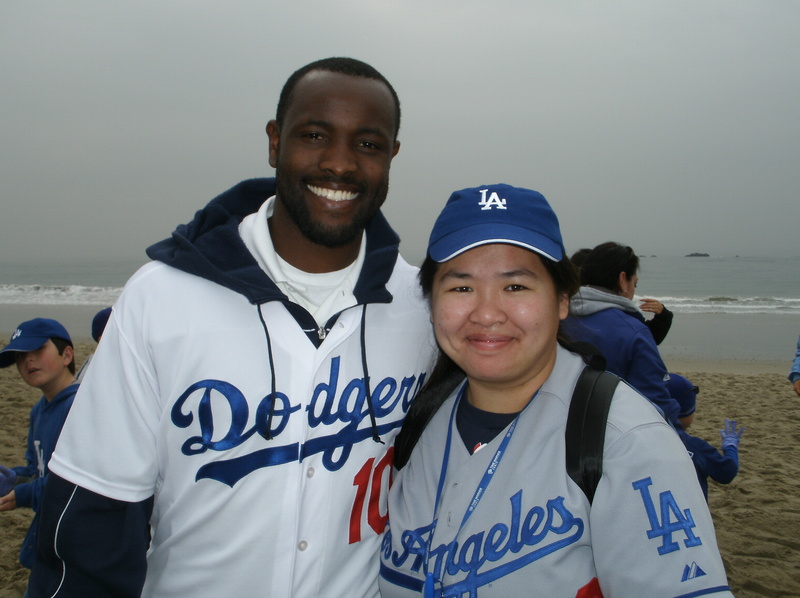 And believe me, Reed’s not the first player to have hit a homerun in the same game when I’ve gotten a photo with them. 😀 Just a lucky coincidence I say. However, my usher friend said if the Dodgers lose the next three games, it’s my fault because I’m not going to any of the other games the rest of this homestand.